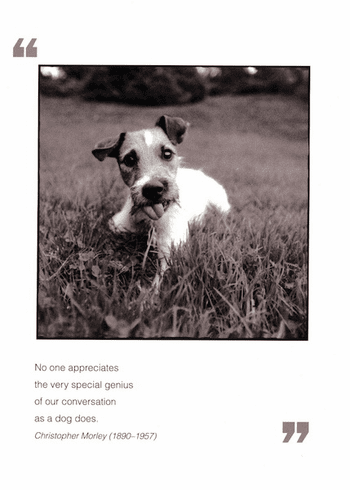 Outside: No one appreciates the very special genius of our conversation as a dog does. - Christopher Morley Inside: Blank. Borealis Press card measures 5 x 7 inches. Includes envelope.